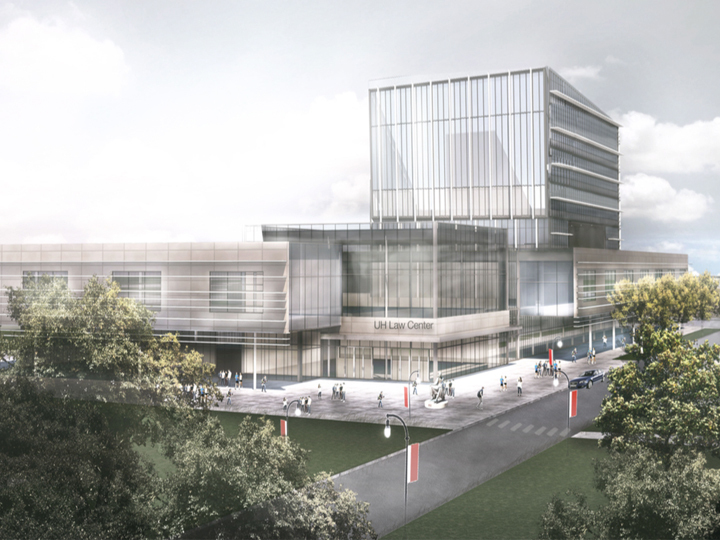 “More Than Bricks,” the fundraising campaign to build a new University of Houston Law Center building, has reached the $10 million milestone. The UH Law Center will now ask the Texas Legislature for $60 million to support phase two of its building campaign. The proposed $90 million five-story building would replace an aging, flood-prone structure. 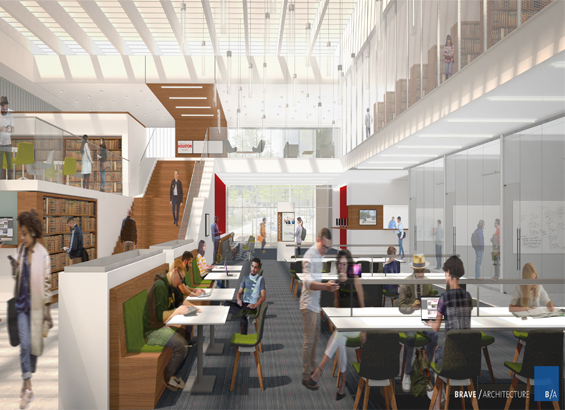 The preliminary design includes modern technology and flexible space to enhance student learning and faculty teaching capabilities, and would be located adjacent to the current Bates Law Building. Construction is scheduled to begin in 2021. Established in 1947, the UH Law Center is home to three top 10 law programs according to the latest U.S. News & World Report rankings and has produced more than 16,000 alumni worldwide. 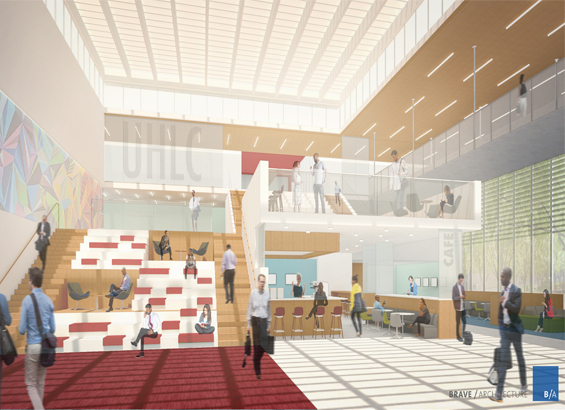 However, the condition of its current building complex – constructed in 1969 – doesn’t reflect the national success and growth of the program, said Leonard Baynes, dean of the UHLC. He envisions a new building that better promotes community engagement and modern, interdisciplinary legal education in a student-focused environment. Preliminary designs for the new facility include a modern law library with countless electronic sources, easily accessible legal clinics for the community, courtroom and event facilities, parliament-style classrooms, advocacy skills labs, integrated technology and more. UH Law Center alumnus William Jackson, chair of the building campaign and president of the UH Law Foundation, hopes that the $10 million raised to date demonstrates to the Texas Legislature that there is a groundswell of support for the future of the UH Law Center. He believes that a new building will positively impact its standing in national rankings. Along with outdated amenities and a confusing layout, the current UH Law Center complex has never fully recovered from the severe flooding of Tropical Storm Allison in 2001, and more recently Hurricanes Ike and Harvey. More than half of the building is underground, exposing operational space to recurring water damage during even moderately heavy rainfall. In fact, the Law Center has lost the ability to utilize a large percentage of its library space because of flooding. Click here to make a donation to the “More Than Bricks” campaign.